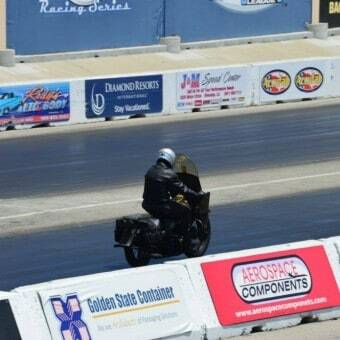 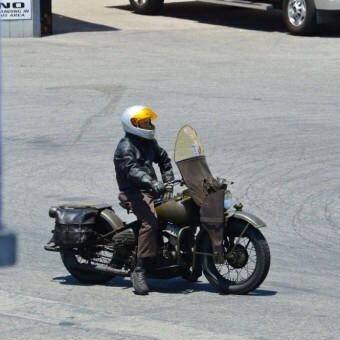 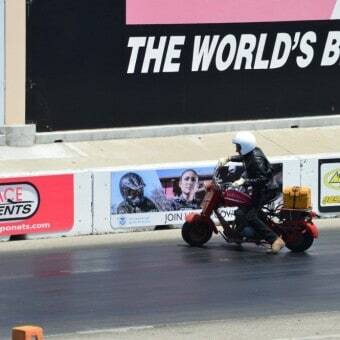 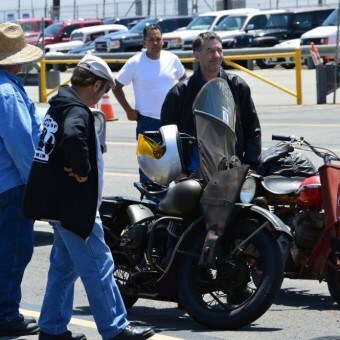 Well, it was that time of year already, I almost forgot it to be honest and as Jennifer was washing her Motorcycle, I loaded up my Camera and jumped onto my Triumph and headed off to see the cool Drag Racing that will be going on at Fontana drag Way . 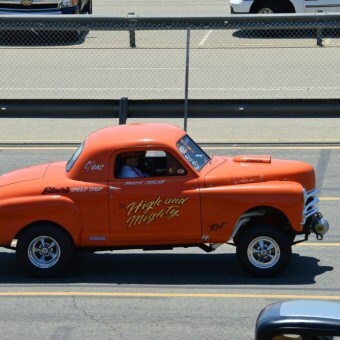 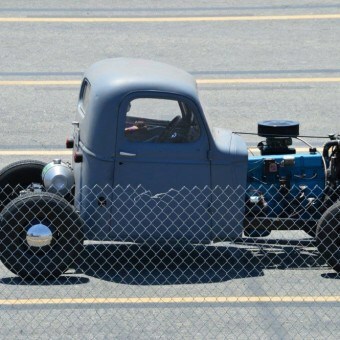 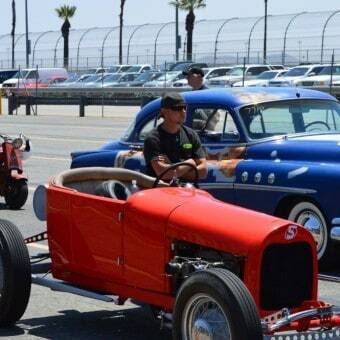 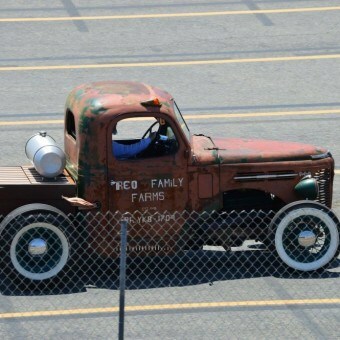 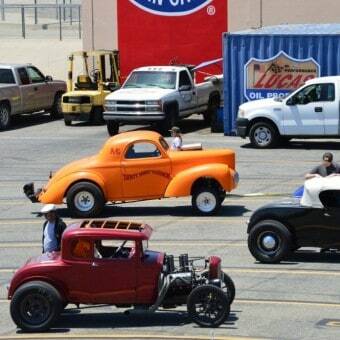 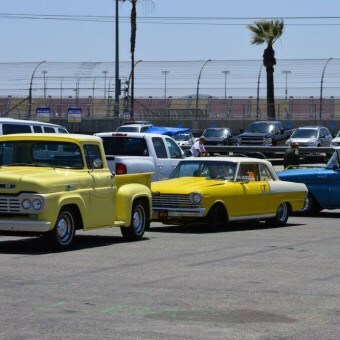 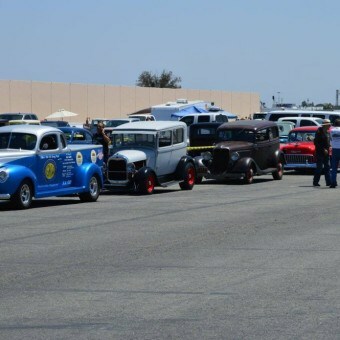 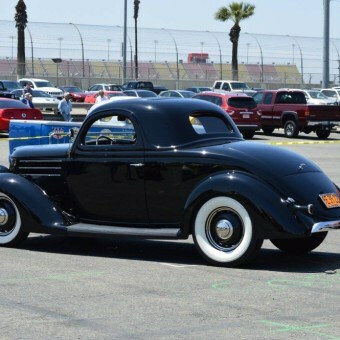 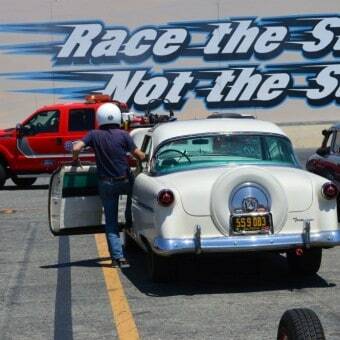 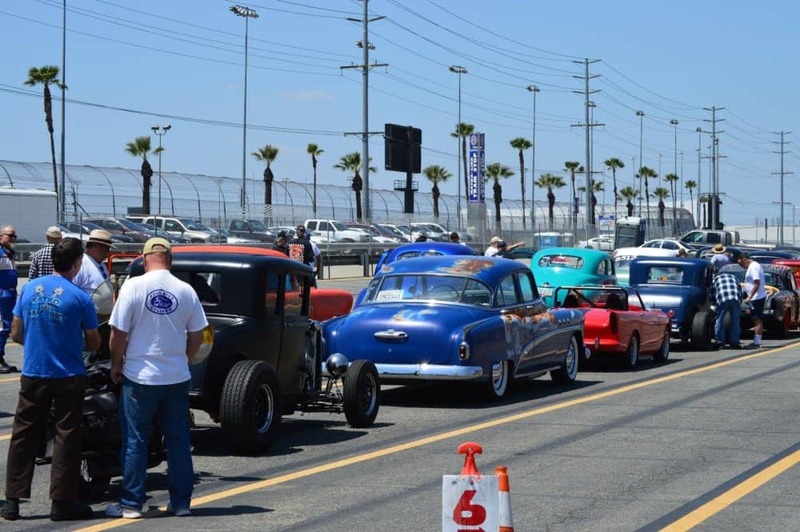 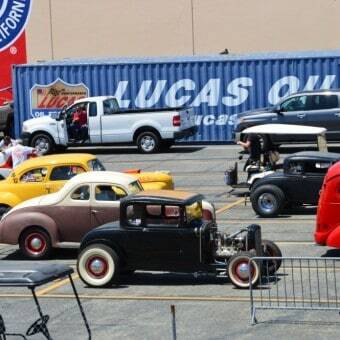 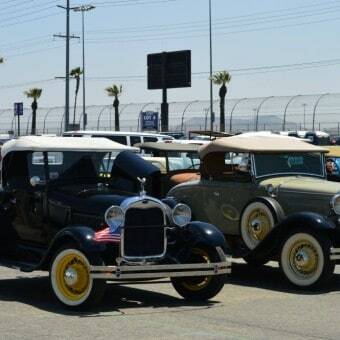 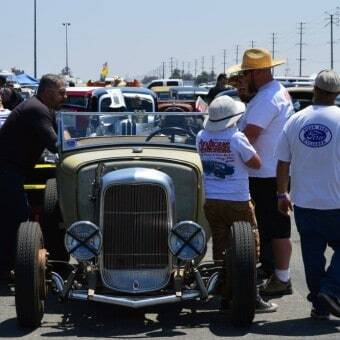 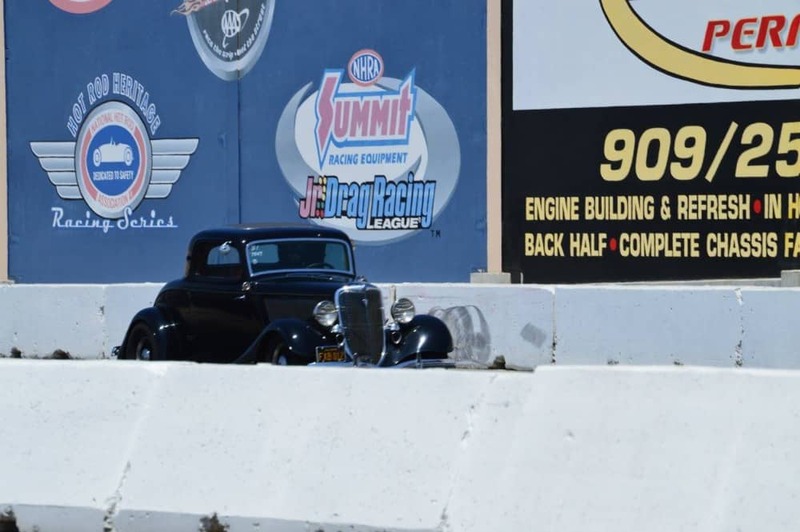 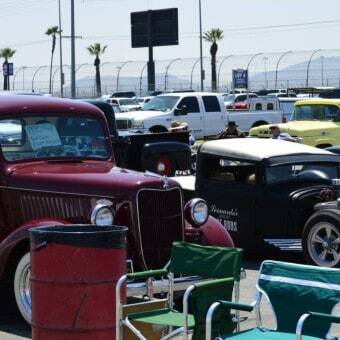 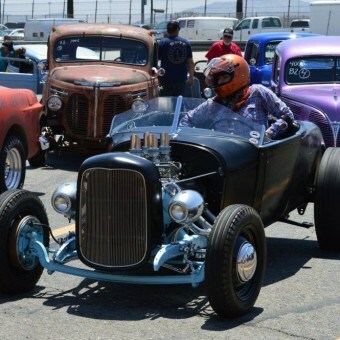 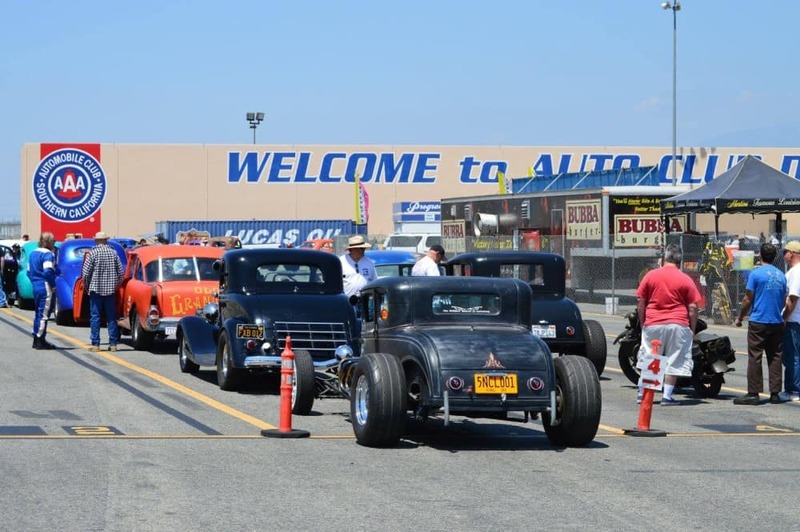 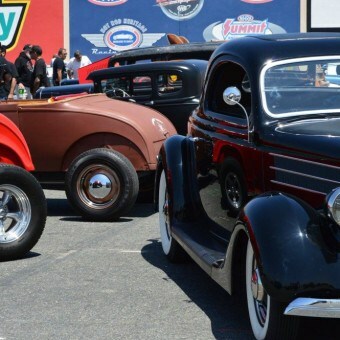 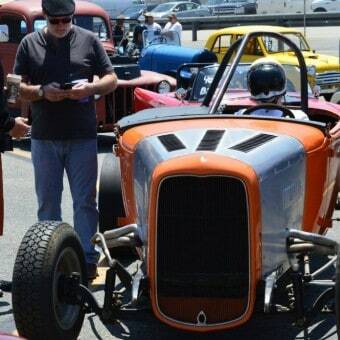 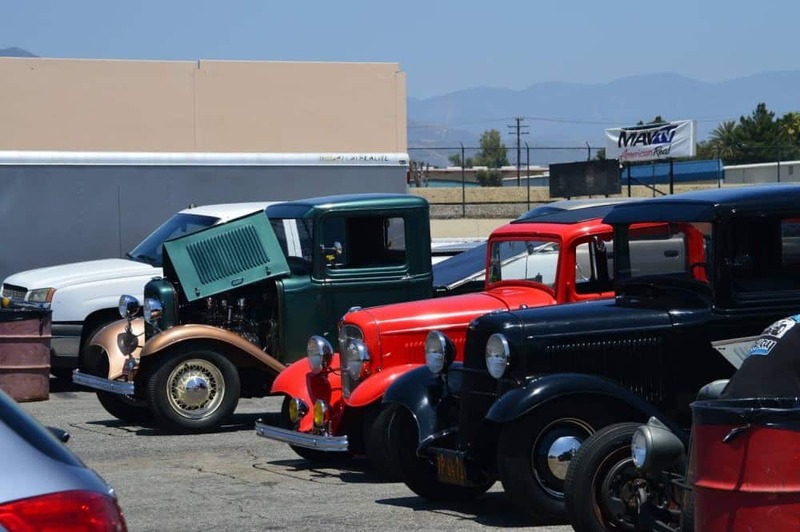 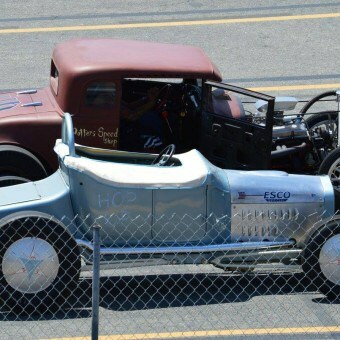 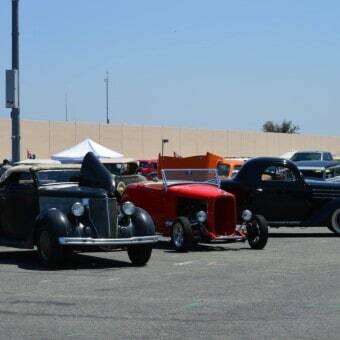 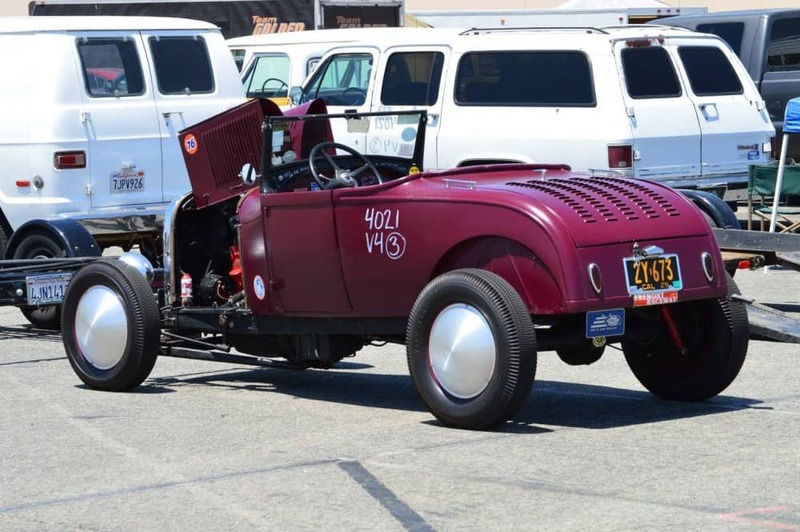 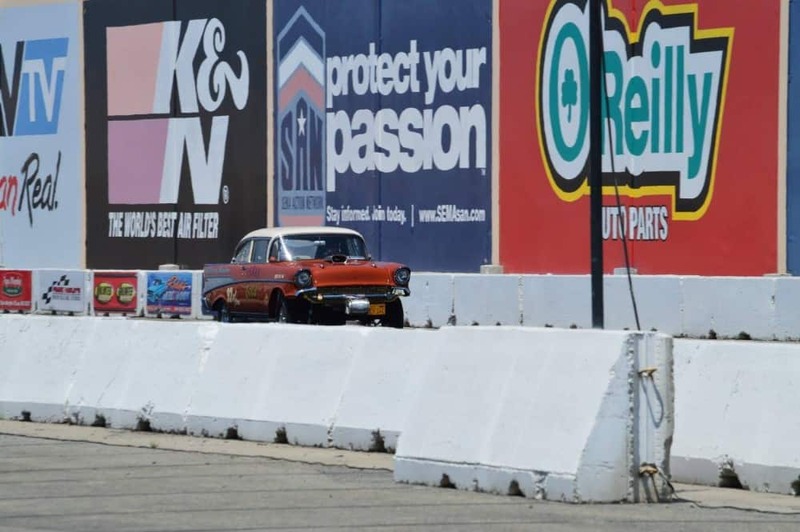 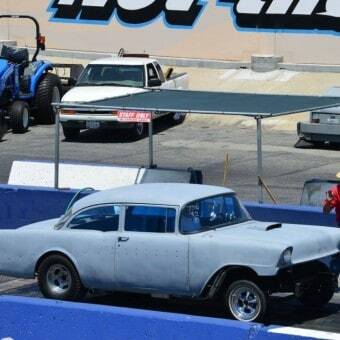 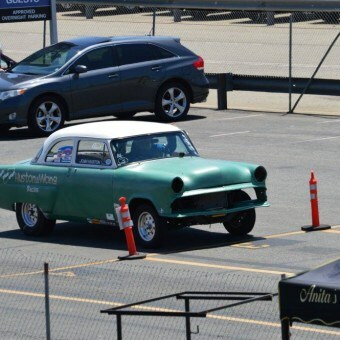 The Sun was out and so was I, I flew up the 57 freeway, then the 60 and then the 15 and then headed to Fontana, took me about 50 minutes and was great to see many Hot Rods and Customs lined up at the staging Lanes as I pulled into the event. 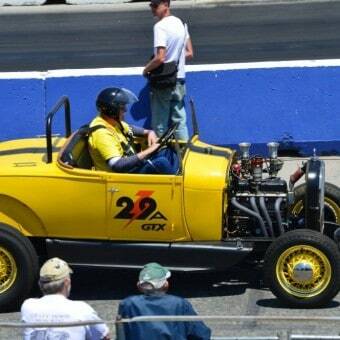 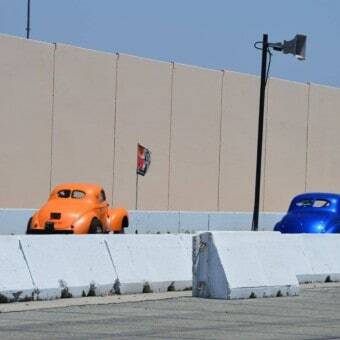 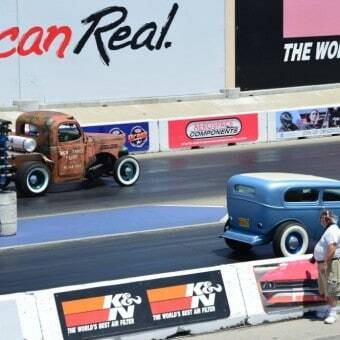 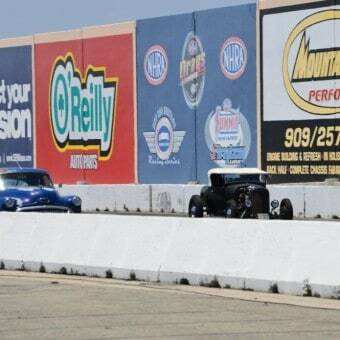 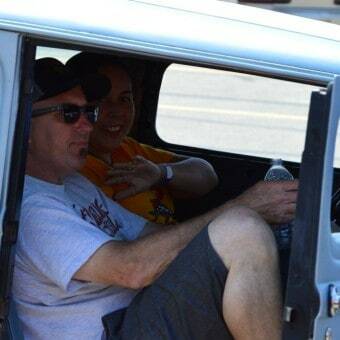 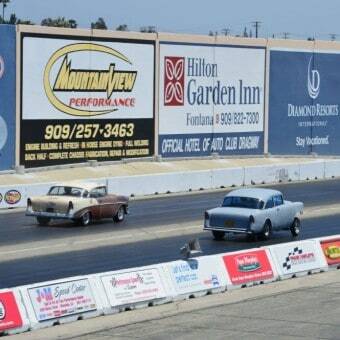 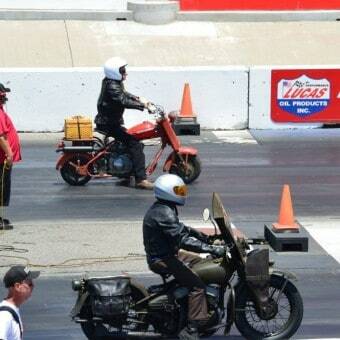 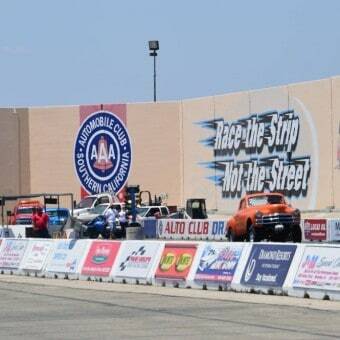 I have been going to this for 17 years, this was the 47th Annual Meet and a perfect day for racing. 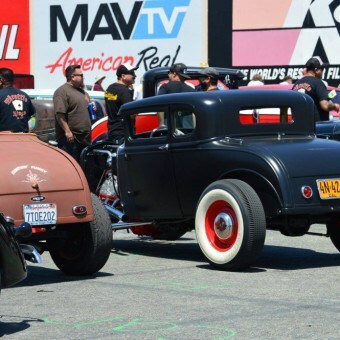 Once I unloaded my back pack, I had my trusty camera in my hand and walked the Pits to see what we had this year, plenty of great Nostalgia vehicles all over the place, its like a candy shop for the eye, seeing peoples rides that they chose to drive up to this part of Southern California and have a go at hitting the loud pedal on the 1/4 mile drag strip. 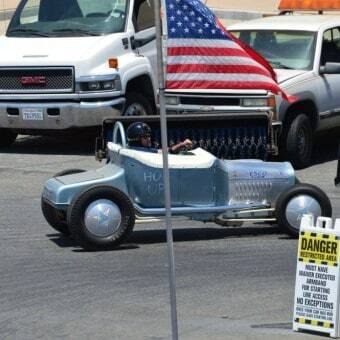 People from all over had turned up, I spoke to a fella from Western Australia, and then saw a bunch of guys wearing Flying Norwegian’s tee Shirts, had a chin wag to them and they wanted to come and check the place out, as they had flown in to race at El Mirage Dry lake next week with their Belly Tank racer, which was stuck at Customs, awaiting clearance, so a Great Experience for them for the first time. 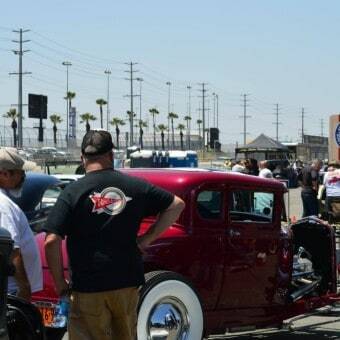 I never tire of this event and the reason is the weather is usually always good, the cars and bikes are fantastic to see, and also everybody is happy and wiling to talk to you about what they are up to and what their vehicle is etc. 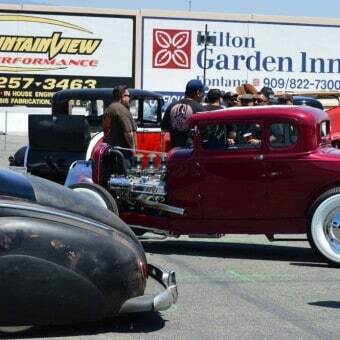 A totally cool event with a great vibe, fun for everybody in the family too. 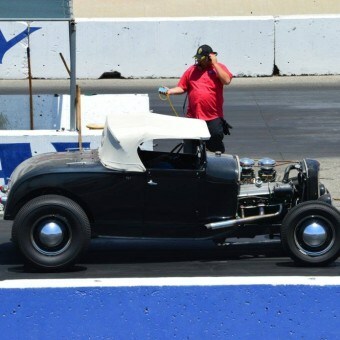 The other thing I like about the Fontana track is that you get close to all the action of racing, you can sit in the grand stand or stand by the fire lane and watch along the fence, you can see, smell and hear the Vintage Flatheads or the Hilborn injected Hemi’s as they hit the Loud button when the lights change from double Orange to green. 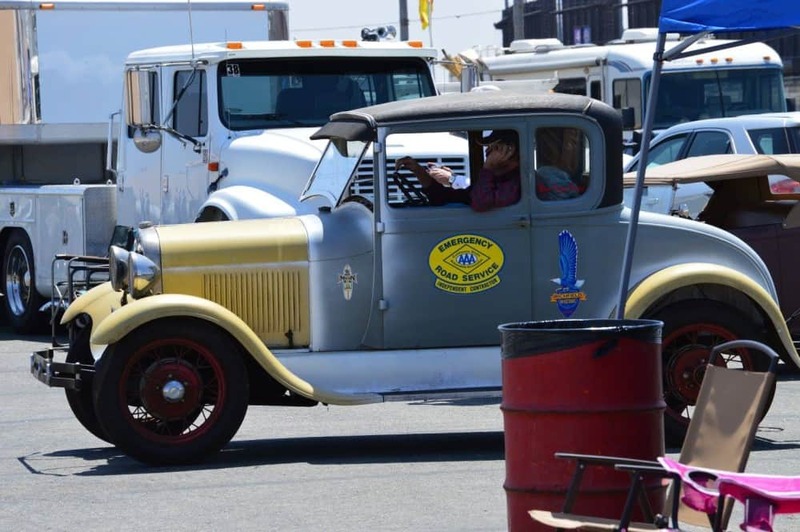 The Pits are a great area to see people working on their cars etc, Heck you could even help sometimes, be it pass a wrench, push a car or jump right in and help on the Motor etc. 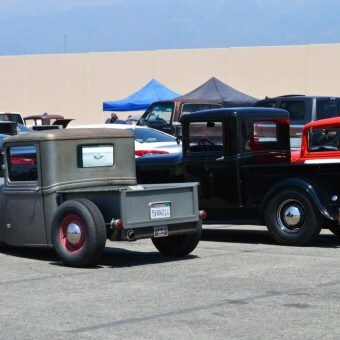 I did not do a car count this year as i was so immersed into the event of trying to at least capture some of the rides that were attending this great show, but a nice turn out none the less and am glad that i managed to make it out here to Fontana raceway, this is right next to the NASCAR track as whilst cars was were racing up the Drag strip, you could also hear the roar of a few V8’s on the Oval track getting some lap times in. 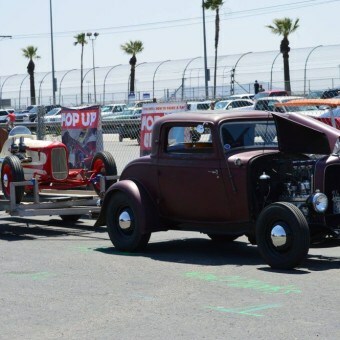 They also have a Go Kart track too that had a race on as well as drifting saloon cars too, so something for everyone and worth the trip up to these parts for sure. 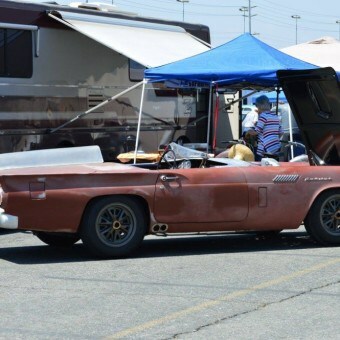 If you are going to visit, I would make sure you take plenty of liquids, some good walking shoes and a hat, as the Sun can really bely down here, plus if you want to walk the whole track side, well you can as the pit area is huge and fun to take your time and have a look at all the vehicles that are there and, to the sound of screaming motors running beside you up the 1/4 mile is something to experience. 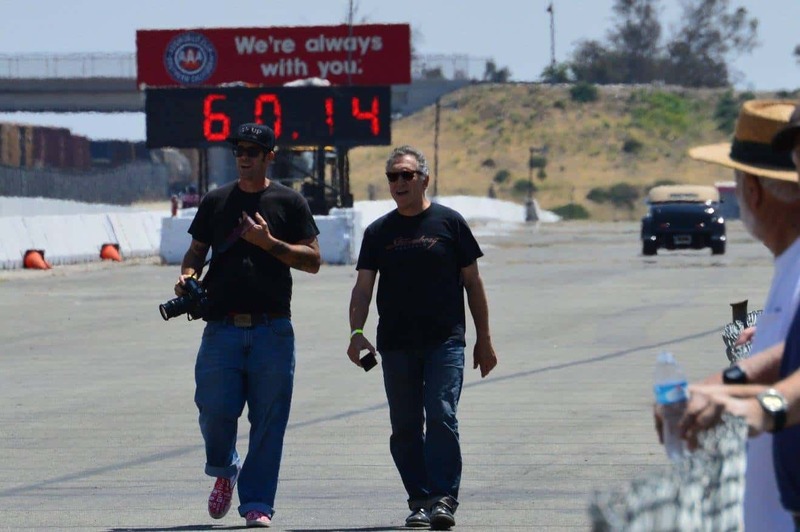 I saw my Fellow Compatriot ” Tony Thacker ” Walking about taking photos with Ryan of Hop Up magazine, always a great social event too, best place to catch up with friends and of course make new ones. 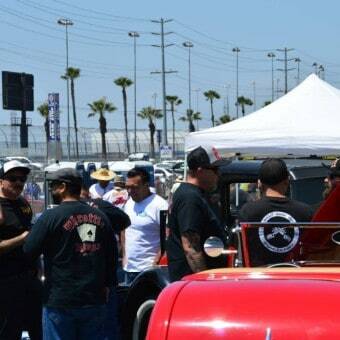 No attitudes, just all enthusiasts and a healthy fun vibe was felt all day. 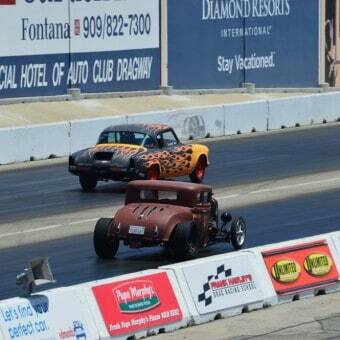 I have always dug the California lifestyle and even though I have been here 17 years, still feels like just a couple. 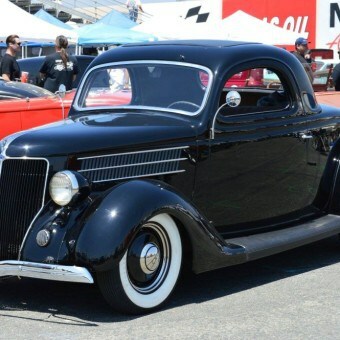 Below is a few sets of snaps that i took and you can look at your own time, many cool styles of cars and genre’s and I am sure at least something there to make you smile, you may not be able to smell the leaking 97’s, or feel the heat of the Fontana sun burning the back of your neck but, you can sit back with a can of your favorite suds and take in some of the cars that was at this super cool show. 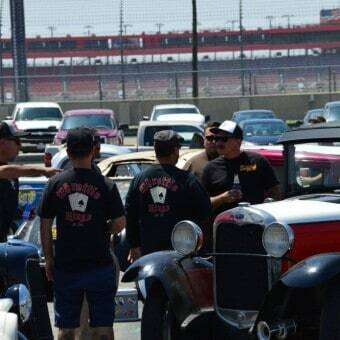 Plenty to see whilst you are here and I loved it all, it is a relaxed atmosphere for racing and I have been to many race tracks over the years, if you want to just hang out and check things out at your own pace, what better than to come to this event, try and make it next year if you can and spread the word, the more, the merrier. 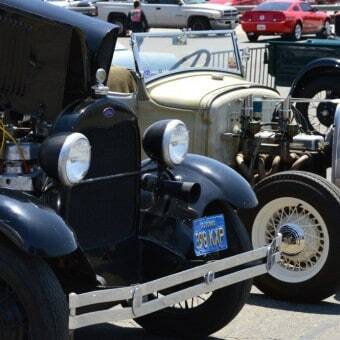 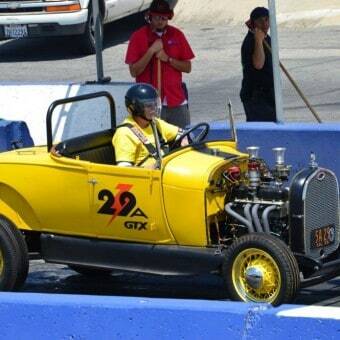 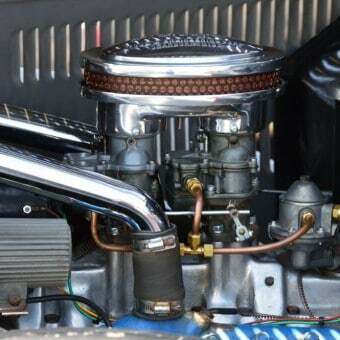 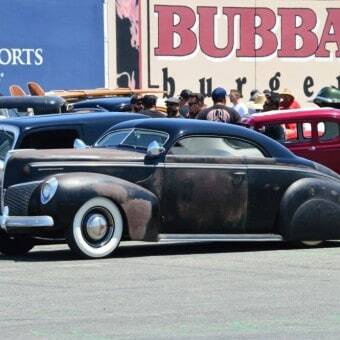 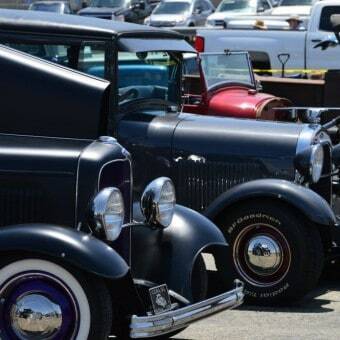 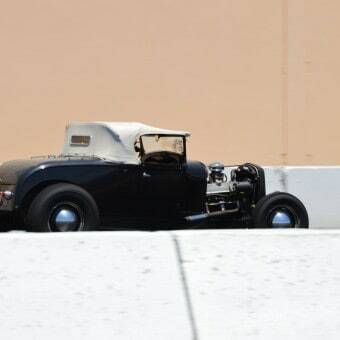 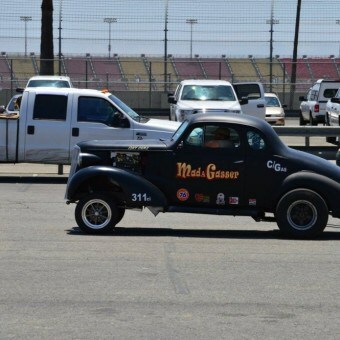 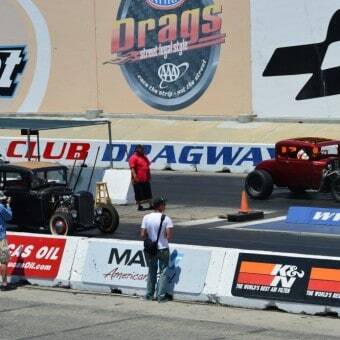 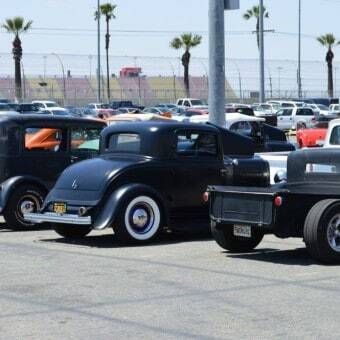 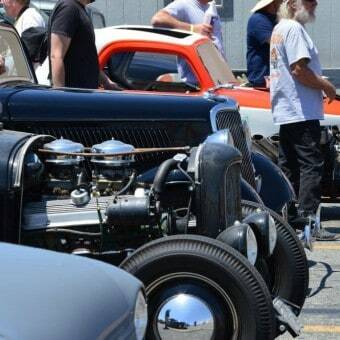 A Little bit of everything for everyone here in SoCal and I love the coupes, Roadsters, Sedans, Tudors and of course then theres the Gassers and Rails too. 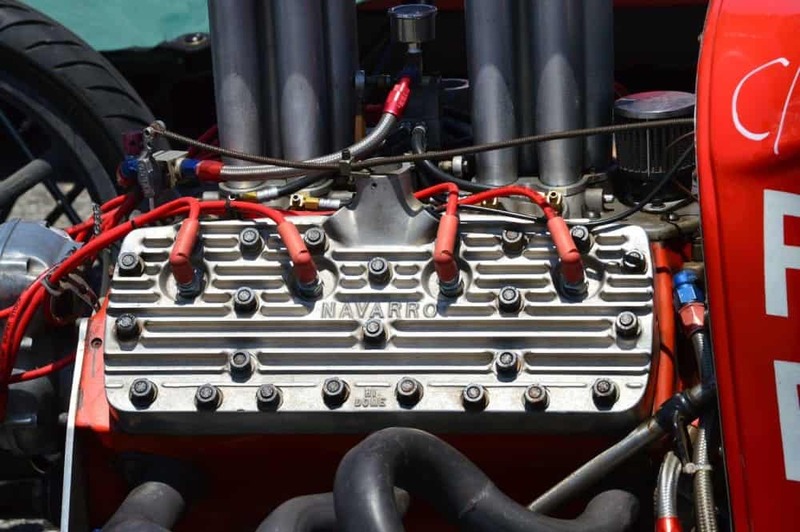 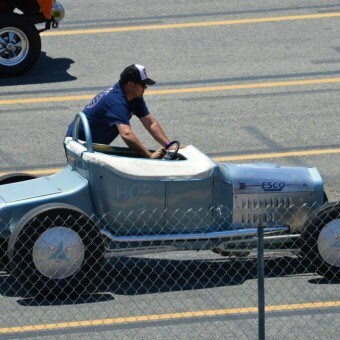 I loved them all to be honest and already looking forward to next years event and hopefully can drive up in my Flathead powered 28 Roadster. 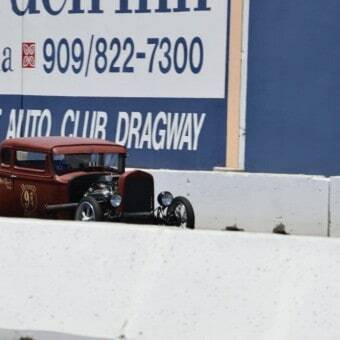 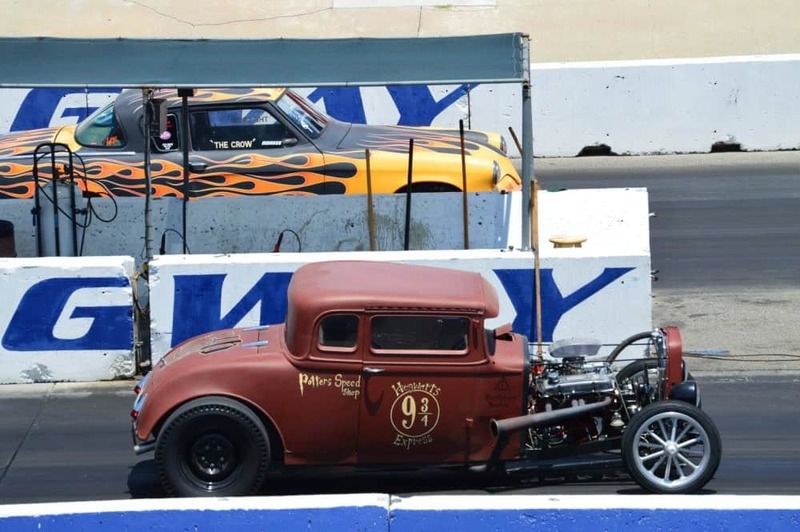 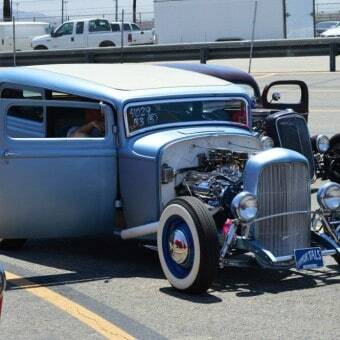 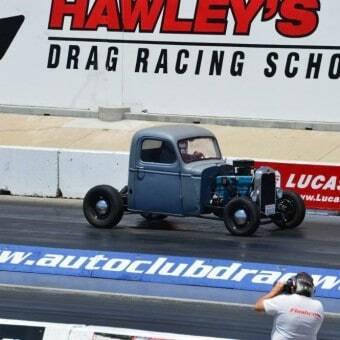 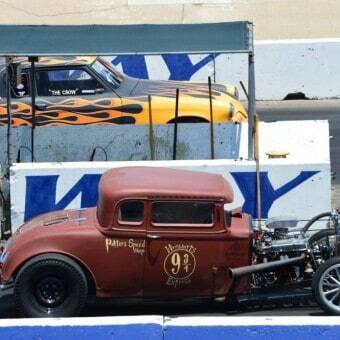 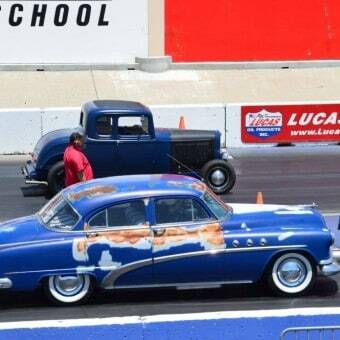 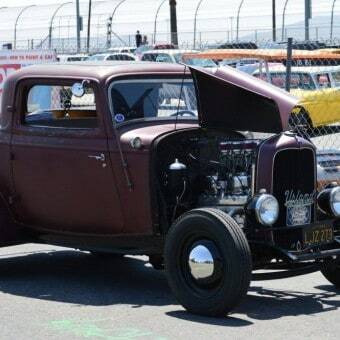 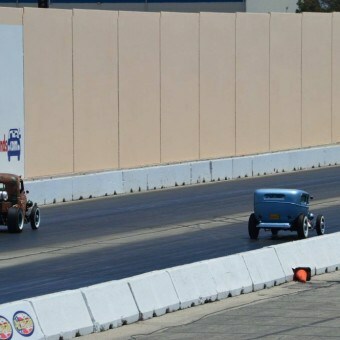 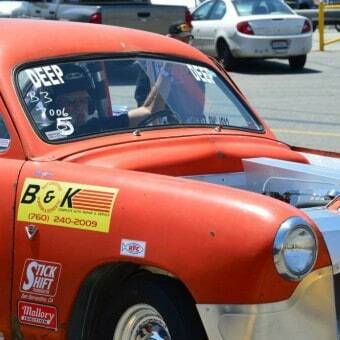 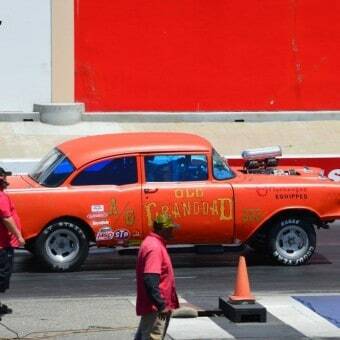 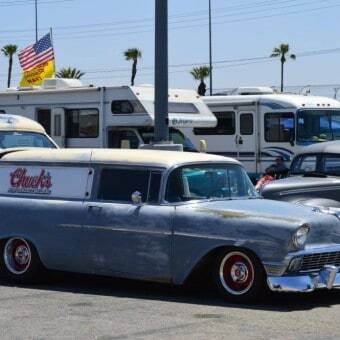 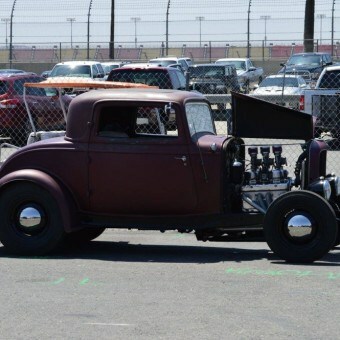 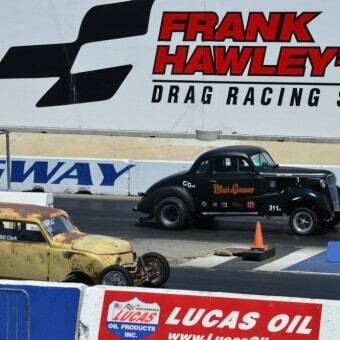 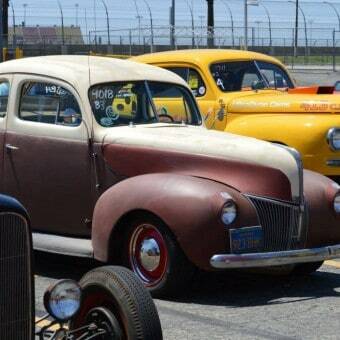 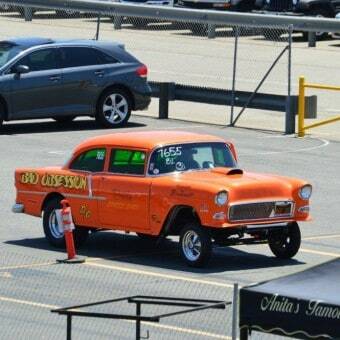 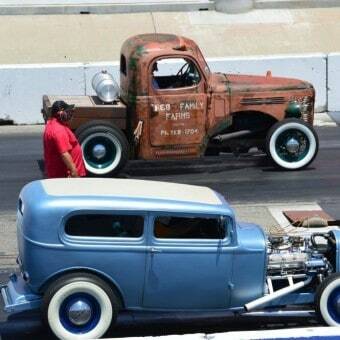 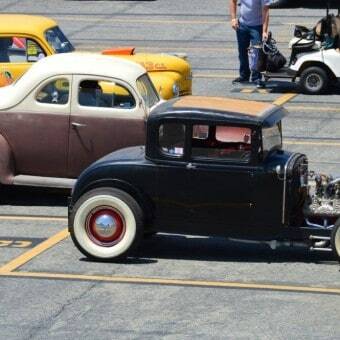 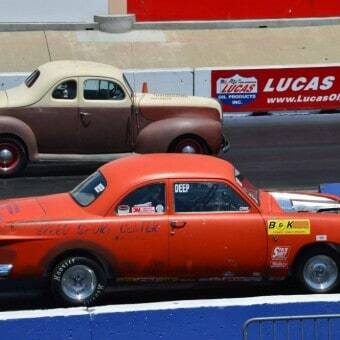 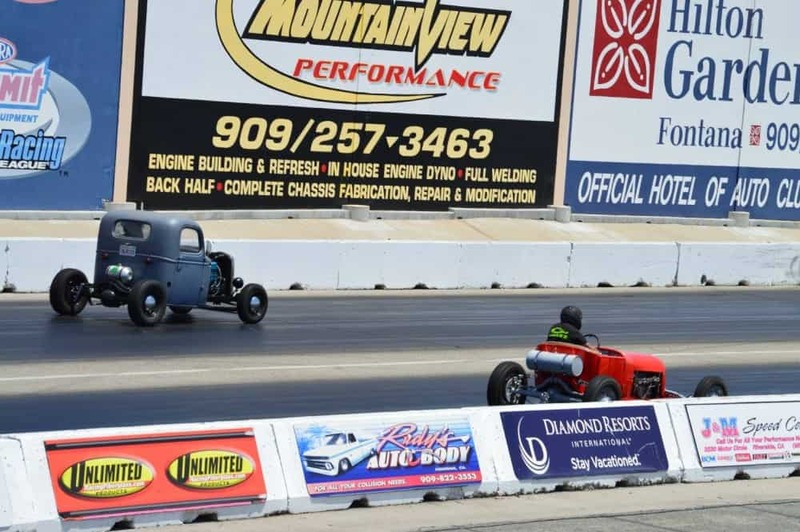 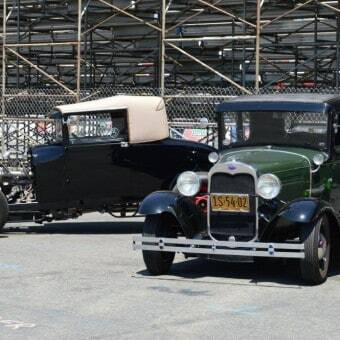 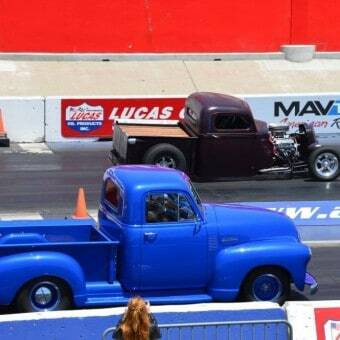 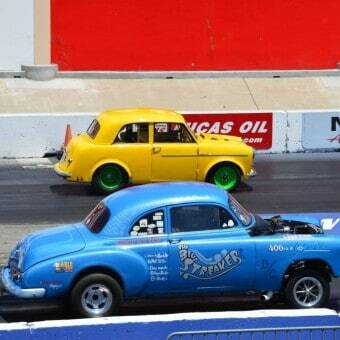 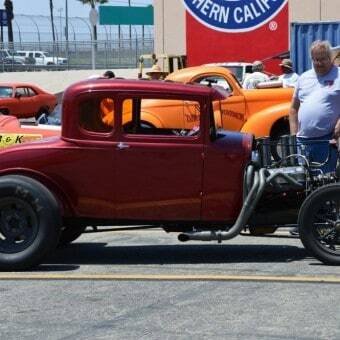 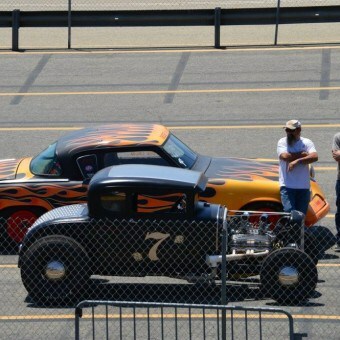 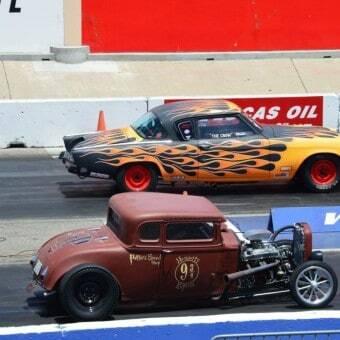 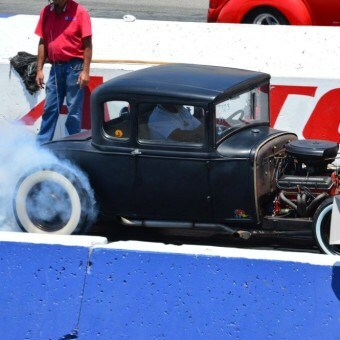 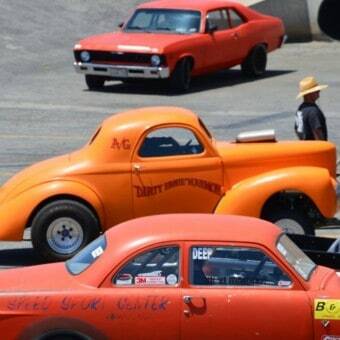 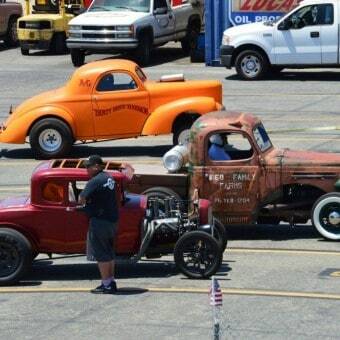 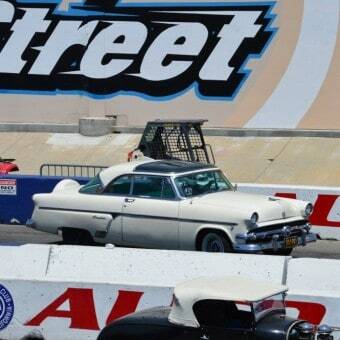 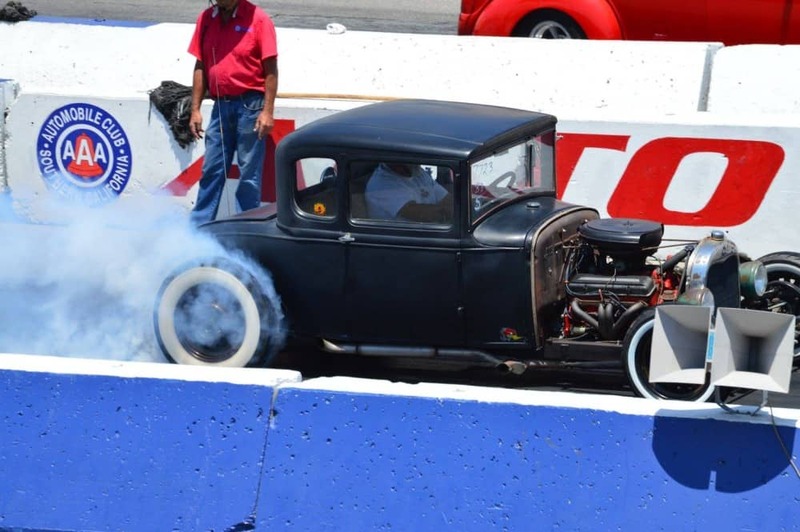 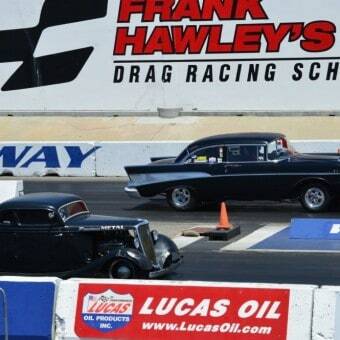 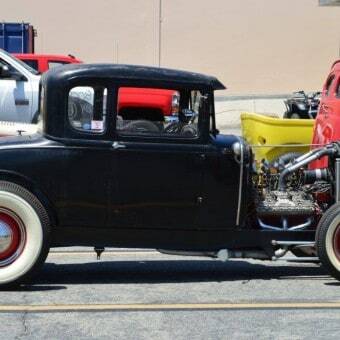 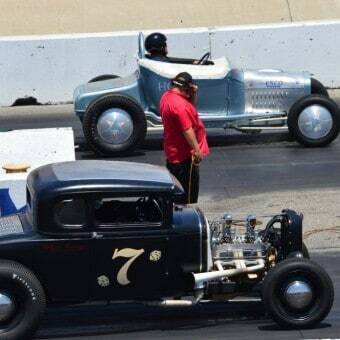 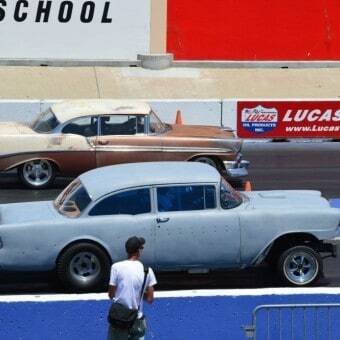 Check out these rides below, just take a look at that Tri-Powered 4 banger Three Window Coupe. 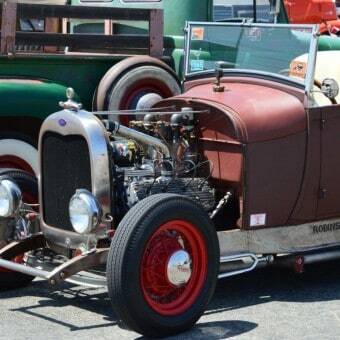 Really a rare machine these days and thats what I like about the Antique Nationals as there are so many Nostalgic rides here to look at close up. 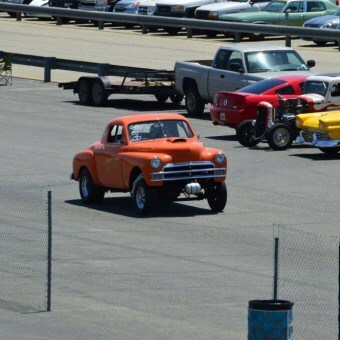 So much cool Nostalgia to see, I was sure glad I had ridden up today to check this event out. 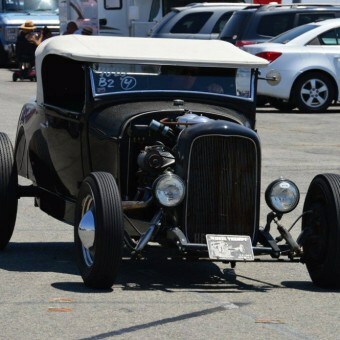 I should of taken a few more but after a while, I simply forgot what car I had taken a pic of. 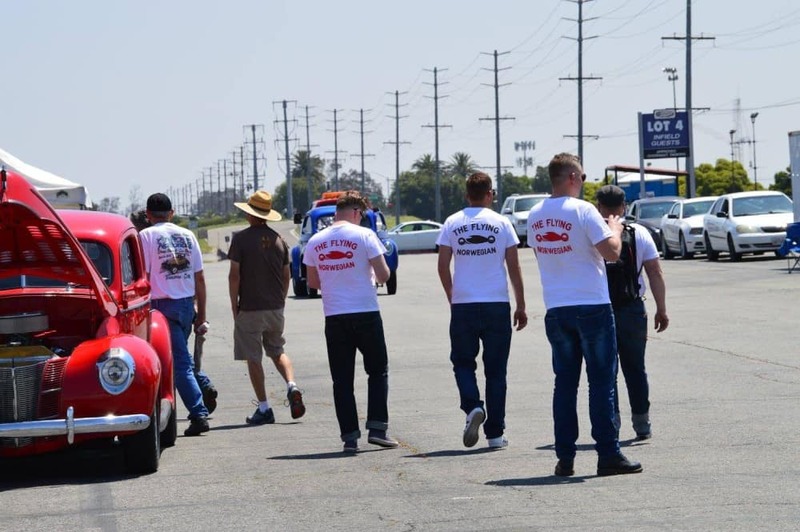 I am certain that you have a favorite amongst the snaps that I took on this Saturday and, if you can make it for next years event, I know you will be smiling all weekend. 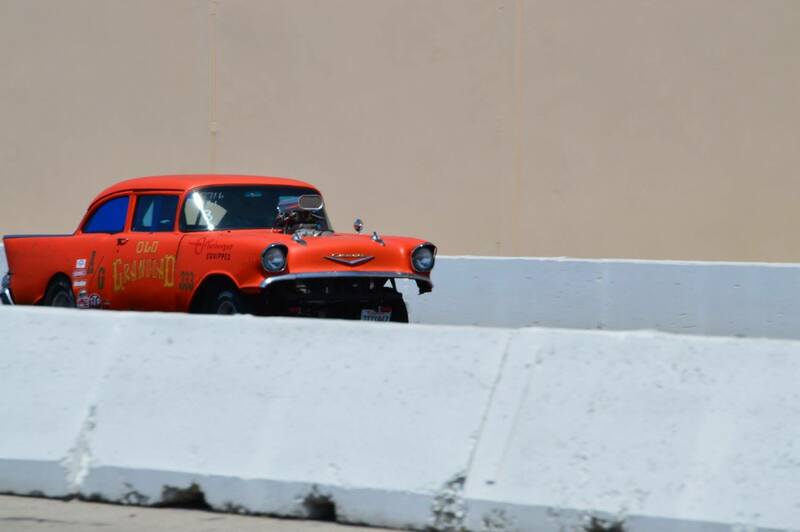 There is a constant running of motors, the sound of laughter and the announcer is pretty cool, letting you know who the driver is and what car he has brought to race etc. 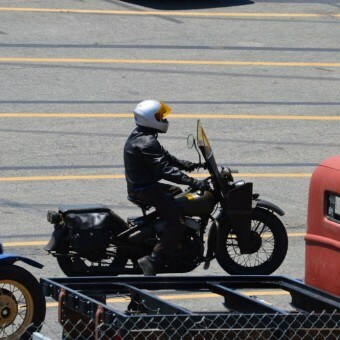 So look below as I have quite a few photos, but I wanted to share all I saw with you. 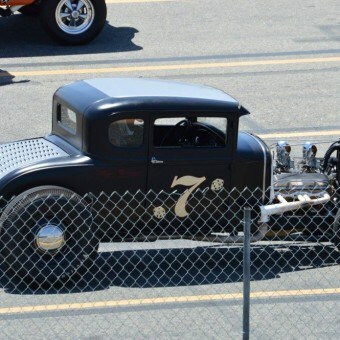 I took as many shots as I could until my battery ran low on the camera and hope that at least some of them grabbed your attention. 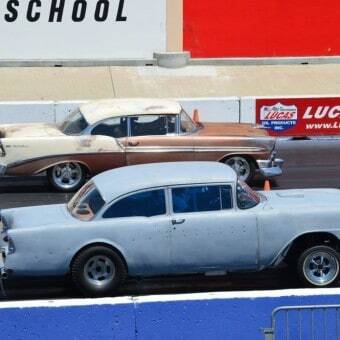 The Branch Family ( Above )had a Blast too. 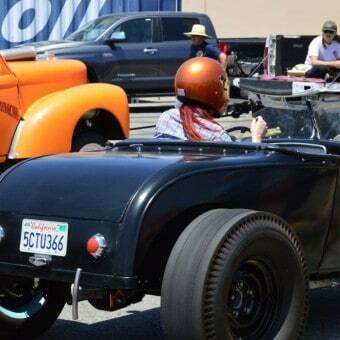 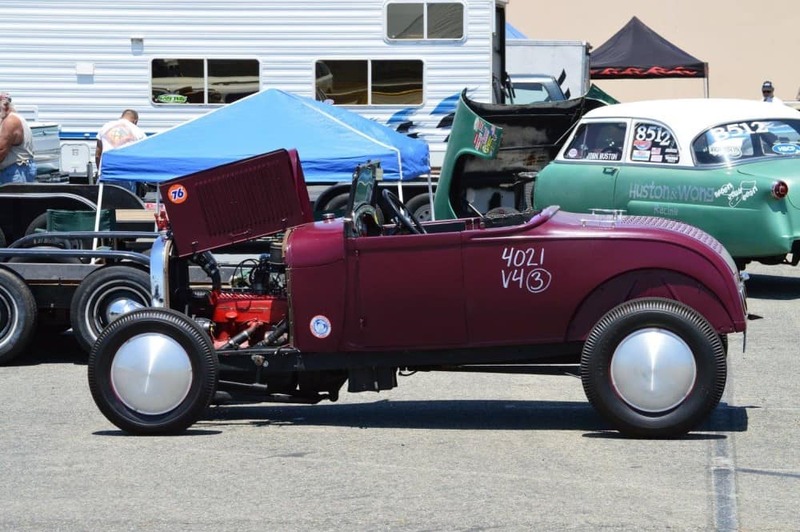 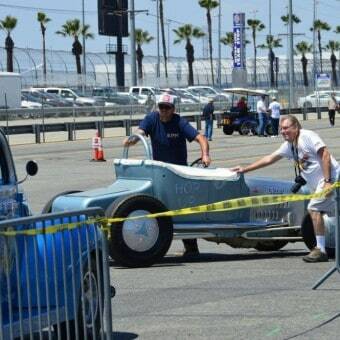 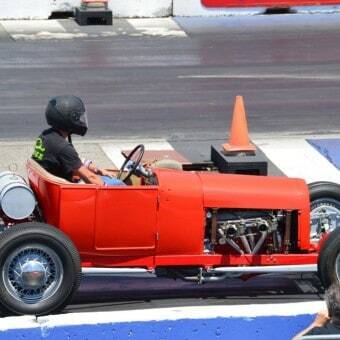 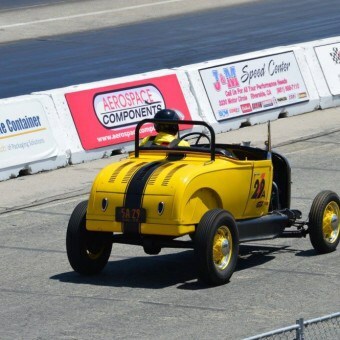 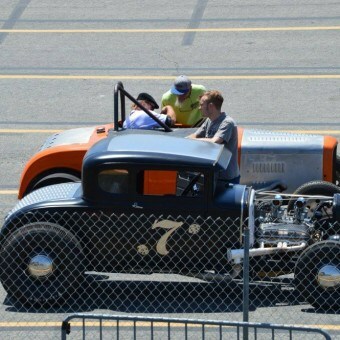 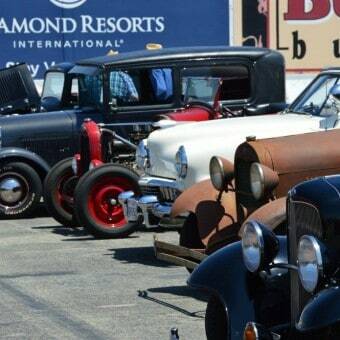 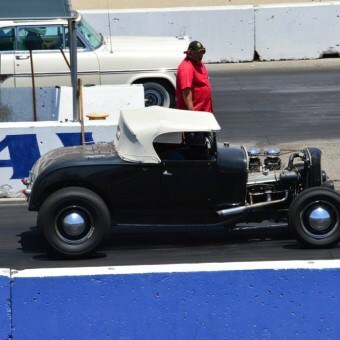 I know a lot to look at, so you can imaging how I felt walking around taking this all in again for another year, this seems to get bigger and better at every event and next year I hope to be driving up to the Drags in my 1928 Model A Roadster and join in with everyone. 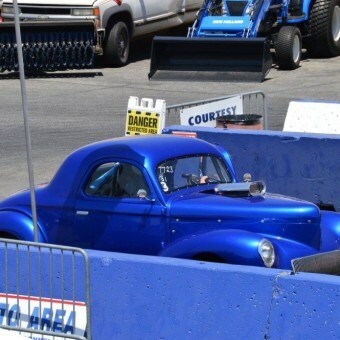 I wish this was a two day event to be honest, then I could take my time and take it all in, time flies faster than some of the 1/4 milers when you are here but a full weekend would be a blast. 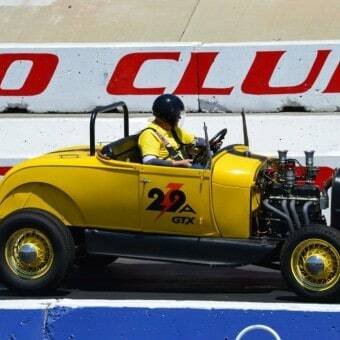 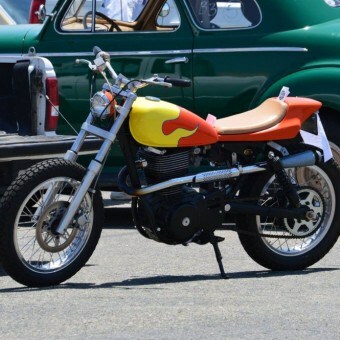 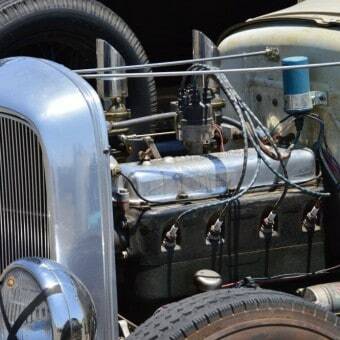 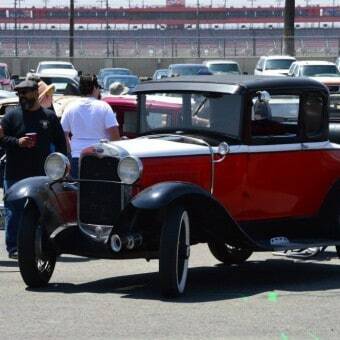 I am partial to Model A’s and loved this as it sat in the pits, great look to it. 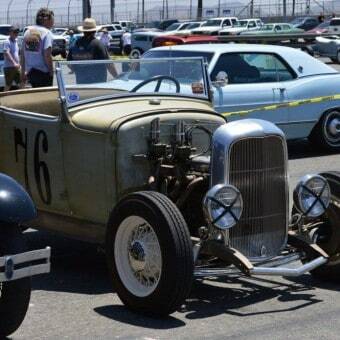 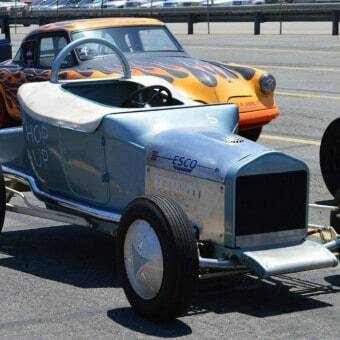 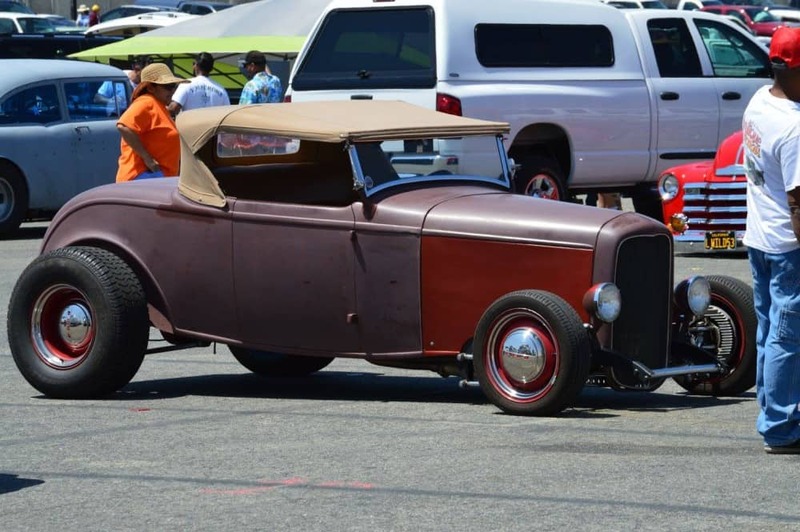 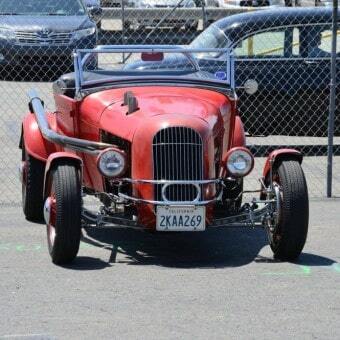 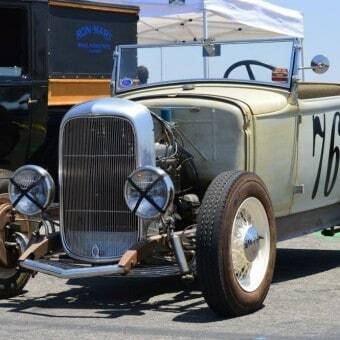 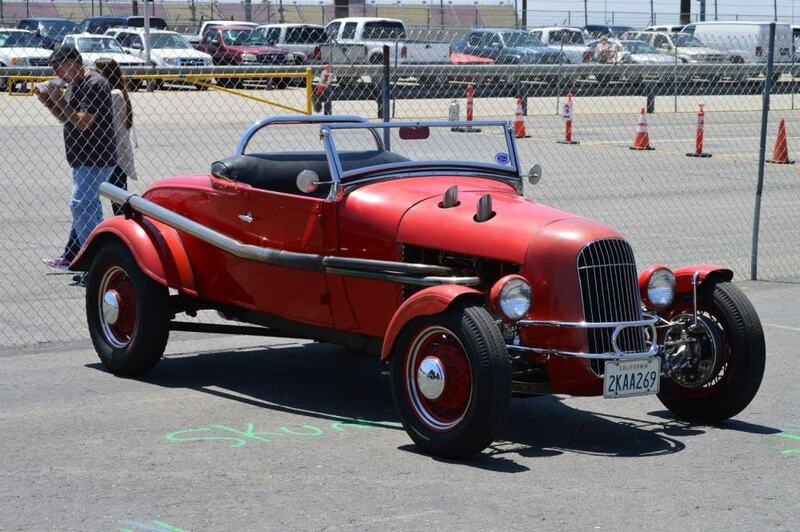 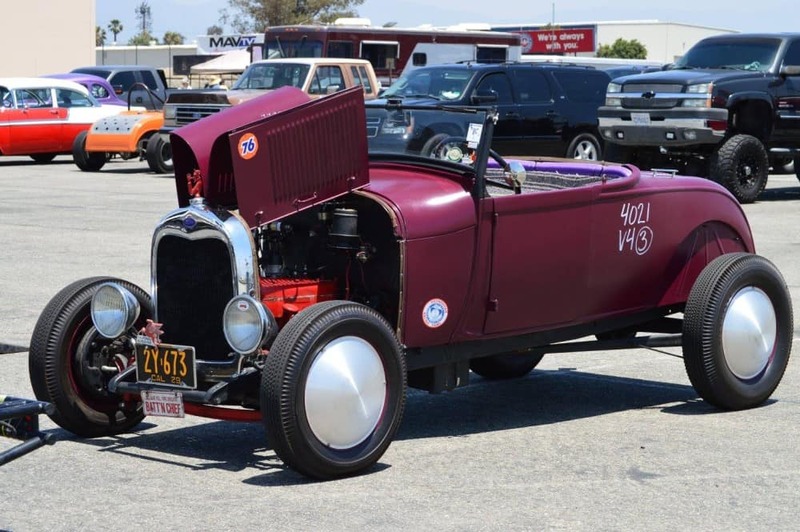 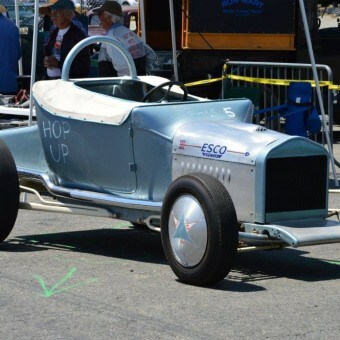 Cool 28/29 Roadster with the 4 banger, how Nostalgic is that with 16 inch skinny Bias Ply Firestones and an angled windshield, gives this a Period look. 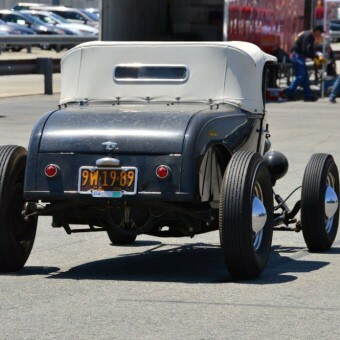 Body work is great, hope mine looks half as good when I remove my fenders this month and get a few miles under its belt. 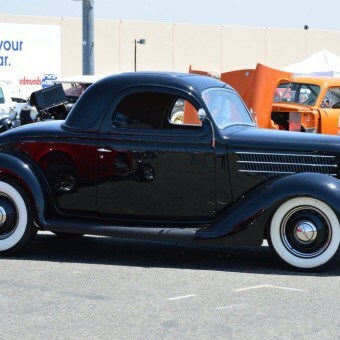 39 Tear drops, louvered Rumble seat deck lid and Moon discs, set this apart for sure. 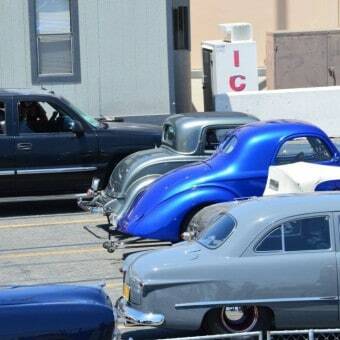 Now theres some money sat in a row, not often you see that right? 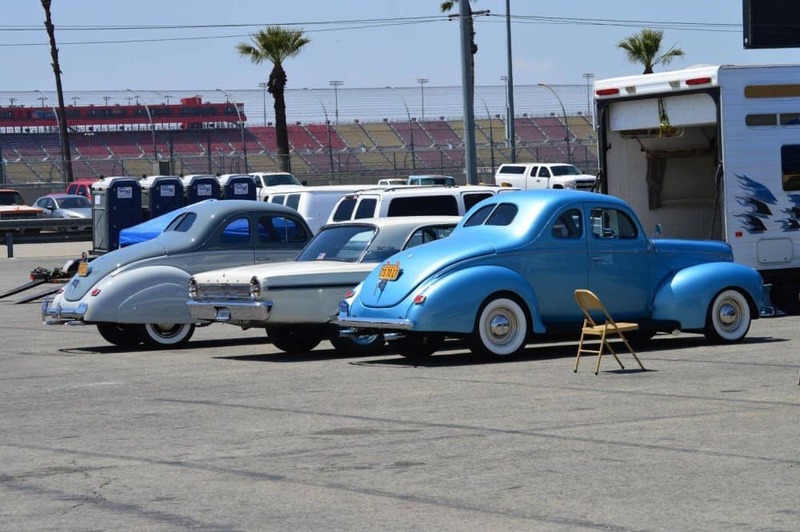 So, until Next year, Many thanks for taking your time to see what I got up to on Saturday at Fontana in Sunny Southern California. 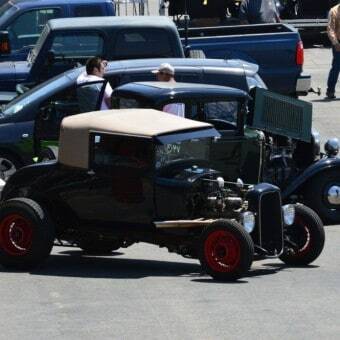 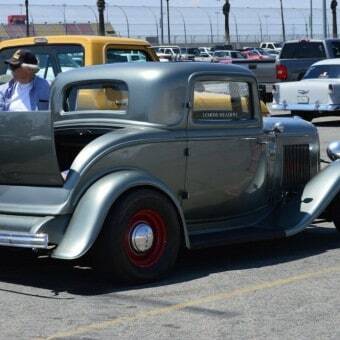 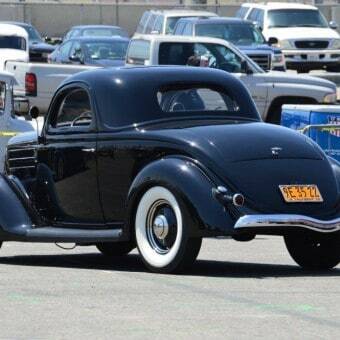 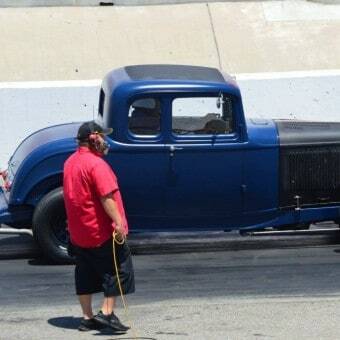 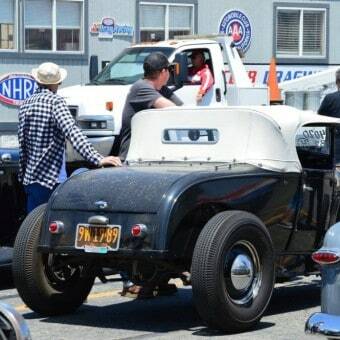 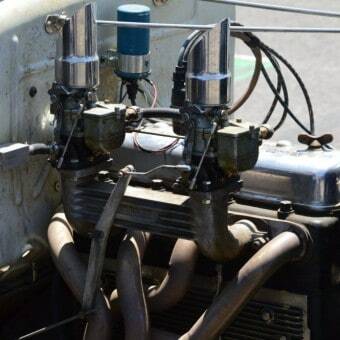 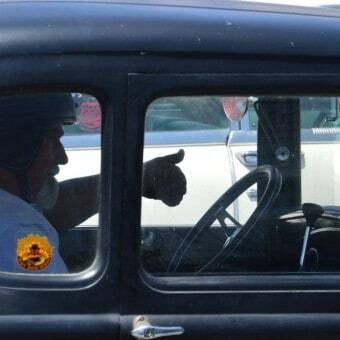 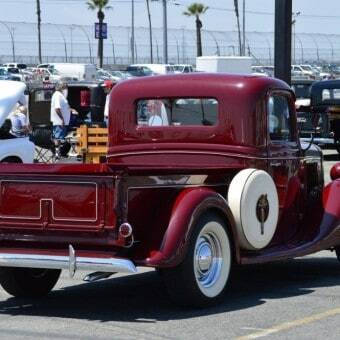 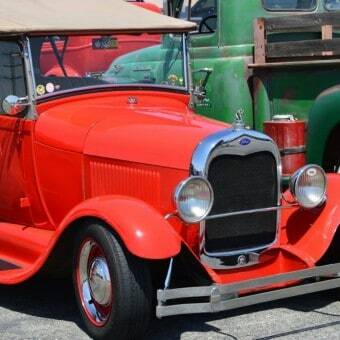 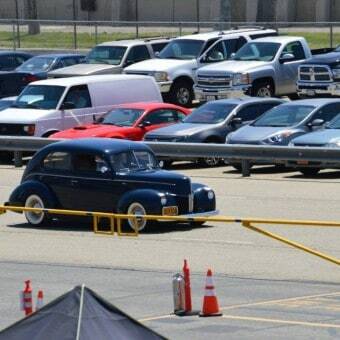 This entry was posted in Blog and tagged 1/4 mile, 1927, 1928, 1929, 1930, 1931, 1932, 1933, 1934, 3 window, 4 Banger, 40 ford, 5 window, 501s, 94's, 97's, antique nationals, B400, Buick, Cabriolet, chevrolet, Converse, coupe, dodge, Edelbrock, flathead v8, Fontana drags, ford, gasser, hot rod, kelsey hayes, Mooncaps, nhra, reverse rims, roadster, Rochester, sedan, small block, So Cal, steelies, stromberg, Teardrop, thacker, tri chevy, tudor.